Charlotte Moore has been made the new controller of BBC One following Danny Cohen's appointment as the corporation's director of television. The BBC's former commissioning editor for documentaries has been acting in the position since May. Tony Hall, the BBC's director general, described Moore's new role as "a very critical appointment". Her "ideas and vision", he continued, had a "boldness and originality" that is "what the channel should offer". "Running BBC One is the most exciting and creative job in television and I'm honoured to be taking over as the new controller," said Ms Moore. "BBC One has a unique role to play in this country and I'm looking forward to working with many talented people." According to her predecessor, Ms Moore "has proven herself as a highly talented creative leader with fantastic credentials as a commissioner". "She has a passion for storytelling and a real understanding of audiences and BBC One's commitment to scale, range and risk-taking," Mr Cohen said. 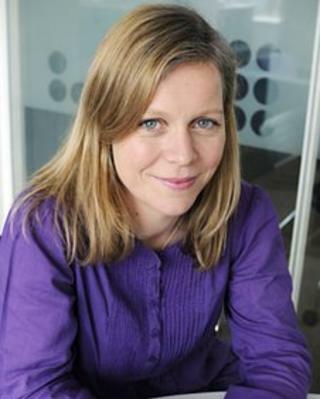 As producer and director, Ms Moore's credits include BBC One's award-winning series Living with Cancer. As commissioning editor for documentaries, her many commissions include The Great British Bake Off, The Choir, Welcome to Lagos and a programme about assisted suicide featuring author Sir Terry Pratchett. Ms Moore's career began travelling to remote corners of the world to make films about cannibals, disappearing tribes and stolen art. Previously with Ideal World Productions, a company she joined in 2002, she was behind such programmes as Stephen Fry's Secret Life of the Manic Depressive and BBC Three's Eighteen with a Bullet. As BBC One controller, a post she takes up with immediate effect, Ms Moore is responsible for the channel's strategy and the commissioning and scheduling of programmes. With Janice Hadlow as controller of BBC Two and Jay Hunt in charge of Channel 4, Ms Moore's appointment makes up a powerful female TV trio. ITV is alone among the "big four" channels in having a man in charge - former BBC One controller, Peter Fincham.